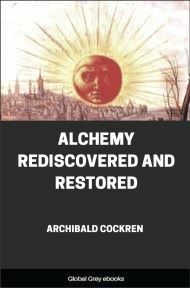 Alchemy Rediscovered and Restored is a book by Archibald Cockren published in 1941. Cockren discusses not only the alleged history of alchemy, but also makes the claims that he had rediscovered and perfected the alchemical methods and that he had successfully created the philosopher's stone. 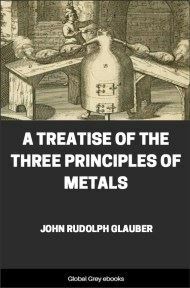 To most of us the word 'alchemy' calls up the picture of a medieval and slightly sinister laboratory in which an aged, black-robed wizard brooded over the crucibles and alembics that were to bring within his reach the Philosophers' Stone, and with that discovery the formula for the elixir of life and the transmutation of metals. 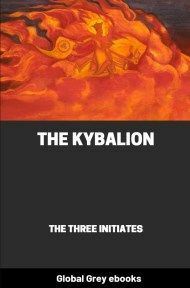 But one can scarcely dismiss so lightly the science--or art, if you will--which won to its service the lifelong devotion of men of culture and attainment from every race and clime over a period of hundreds, or, indeed, thousands, of years, for the beginnings of alchemy are hidden in the mists of time. Such a science is something far more than an outlet for a few eccentric old men in their dotage. What was the motive behind the constant strivings, the never-failing patience in the unravelling of the mysteries, the tenacity of purpose in the face of persecution and ridicule through the countless ages that led the alchemist to pursue undaunted his appointed way? 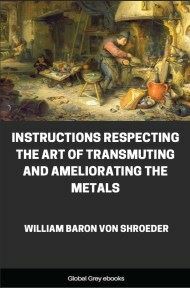 Something far greater, surely, than a mere vainglorious desire to transmute the base metals into gold, or to brew a potion to prolong a little longer this earthly span, for the devotees of alchemy in the main cared little for these things. The accounts of their lives almost without exception lead us to believe that they were concerned with things spiritual rather than with things temporal. Rather were these men inspired by a vision, a vision of man made perfect, of man freed from disease and the limitations of warring faculties both mental and physical, standing as a god in the realization of a power that even at this very moment of time is lying hidden in the deeper strata of his consciousness, a vision of man made truly in the image and likeness of the one Divine Life in all its Perfection, Beauty, and Harmony. To appreciate and understand these adepts' visions it is necessary to trace to some extent the history of their cult, so let us for a space step back into the past to catch a glimpse of these men, of their work and ideals, and more important still, of the possibilities that their life-work might bring to those who to-day are seeking for fuller knowledge and wider horizons. This reference demonstrates that alchemy was studied in China as early as the commencement of the Christian era, so that its origin must probably lie far back in Chinese history. From China we must now travel to Egypt, whence alchemy as known in the West seems to have sprung. The great Egyptian adept king, named by the Greeks Hermes Trismegistus, is thought to have been the founder of the art. Reputed to have lived about 1900 B.C., he was highly celebrated for his wisdom and skill in the operation of nature, but of the works attributed to him only a few fragments escaped the destroying hand of the Emperor Diocletian in the third century A.D., namely, the Asclepian Dialogues and the Divine Poemanda. If we may judge from these fragments (both preserved in the Latin by Fianus and translated into English by Dr. Everard) it would seem to be of inestimable loss to the world that none of these works have survived in their entirety. An Arabic version of the text was discovered in a work ascribed to Jabir, which was probably made about the ninth century. 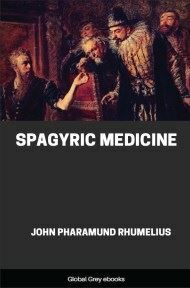 In any case it must be one of the oldest alchemical fragments known, and that it is a piece of Hermetic teaching I have no doubt, as it corresponds to teaching in the Poemanda and 'Fragments of a Faith Forgotten' in relation to the teaching of the thrice-greatest Hermes. 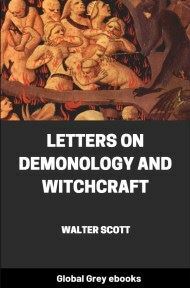 It also teaches the unity of matter and the truth that all form is a manifestation from one root, the Aether, which teaching corroborates the theory of our present-day scientists. This table, in conjunction with the Tractatus Aureus or Golden Treatise which I have inserted at the end of this book, is well worth reading, particularly in the light of my elucidation of the general alchemical symbolism. Unhappily, it is all that remains to us of the Egyptian sacred art.